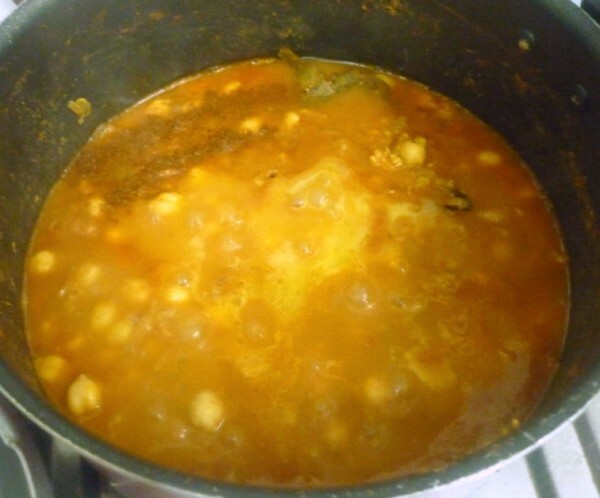 For the third day under Gourmet gravies, I decided to make a rich gravy with channa. 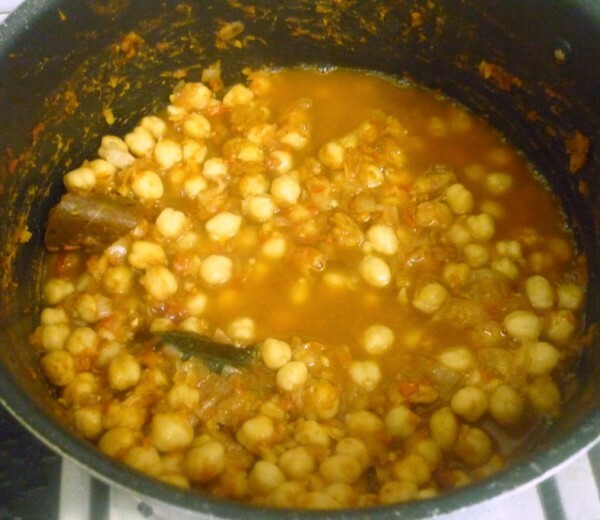 I have so many variations with Channa, that I really wondered how many one can go on making. If I am right I still have quite some more to cover. Yet I am sure I will as channa is one of those that my kids love. 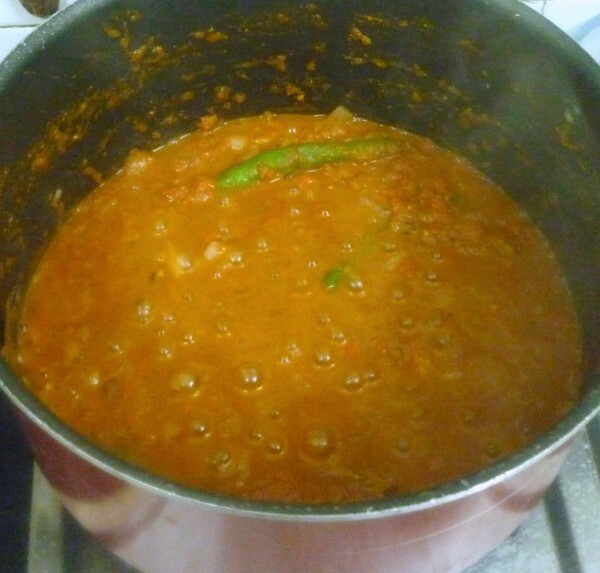 Today’s gravy uses a different method for making it rich and thick. 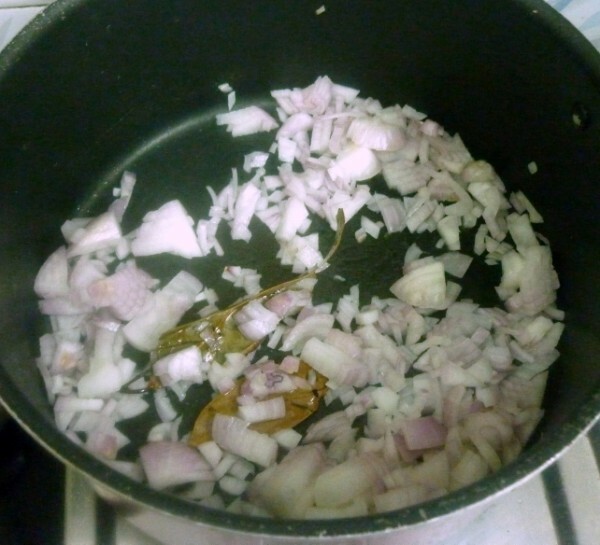 Heat oil in a non stick pan, add bay leaf and add finely chopped onion, sauté until golden brown in colour. 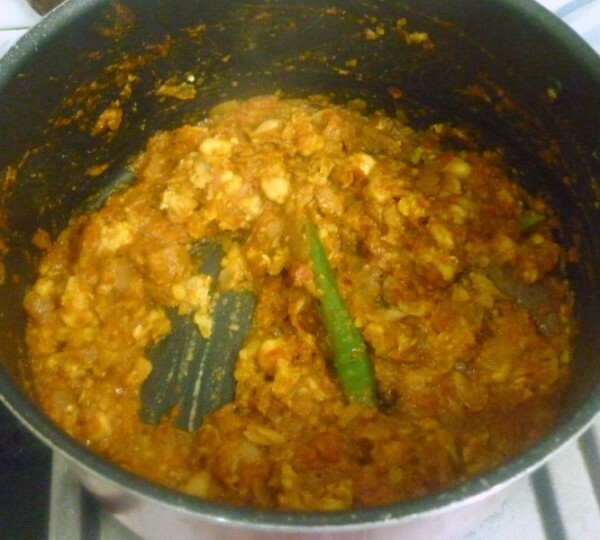 Next add ginger garlic paste and slit green chillies, stir for some time, then add tomato puree, red chilli powder, coriander powder, turmeric powder, chana masala and cumin powder, cook for some time. 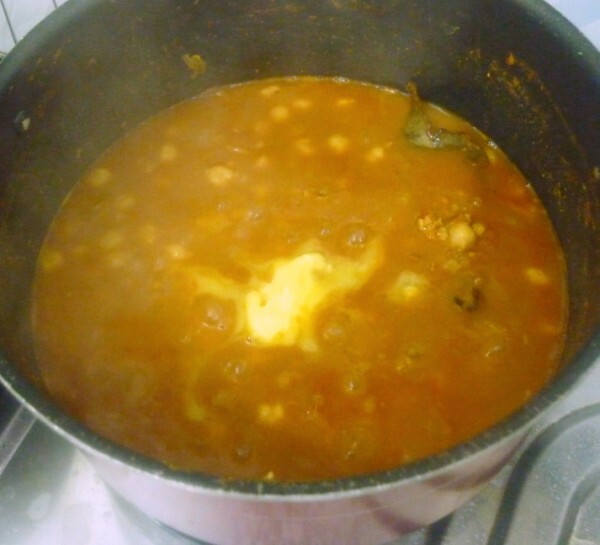 When the pressure falls down, remove half a cup of boiled channa, mash well and mix to the pan. 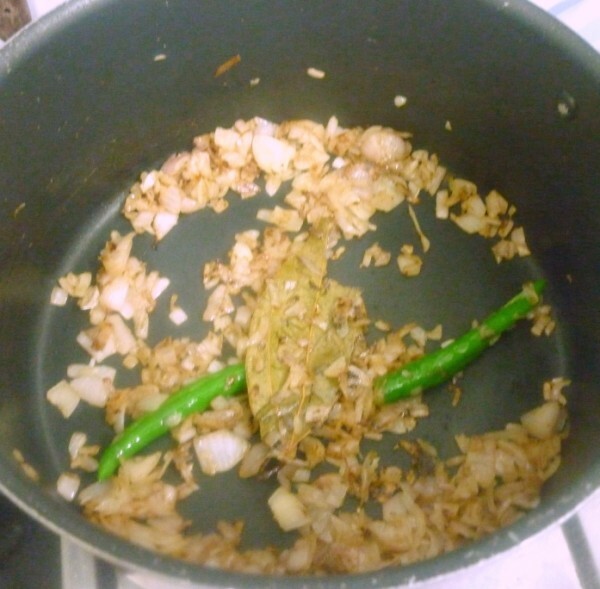 Cook for 5 mins. 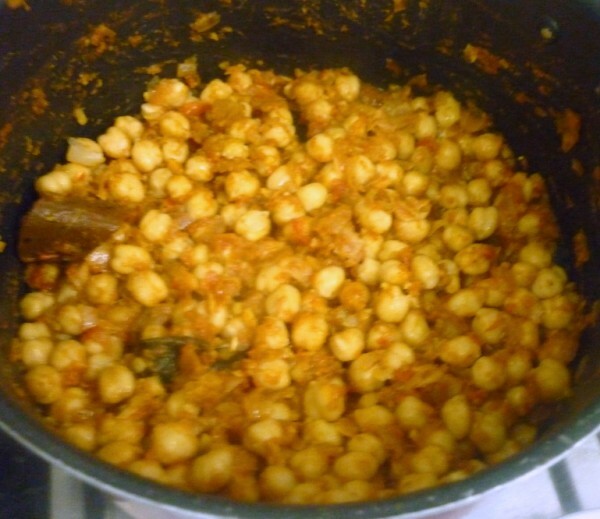 Then add the channa, stir well for couple of mins, add the water along with required water for required consistency. 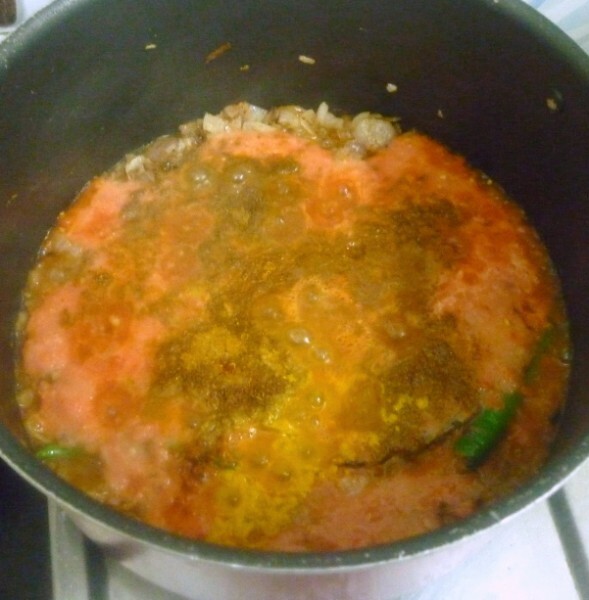 Cook till it reaches a thick gravy. 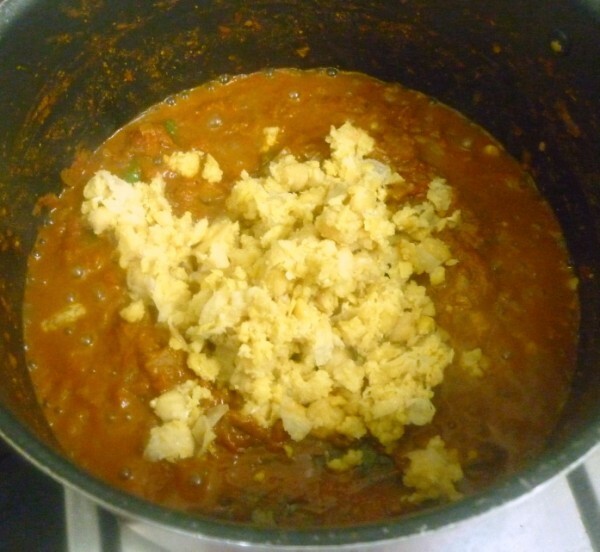 Finally add the butter and sprinkle garam masala, mix well and serve hot. 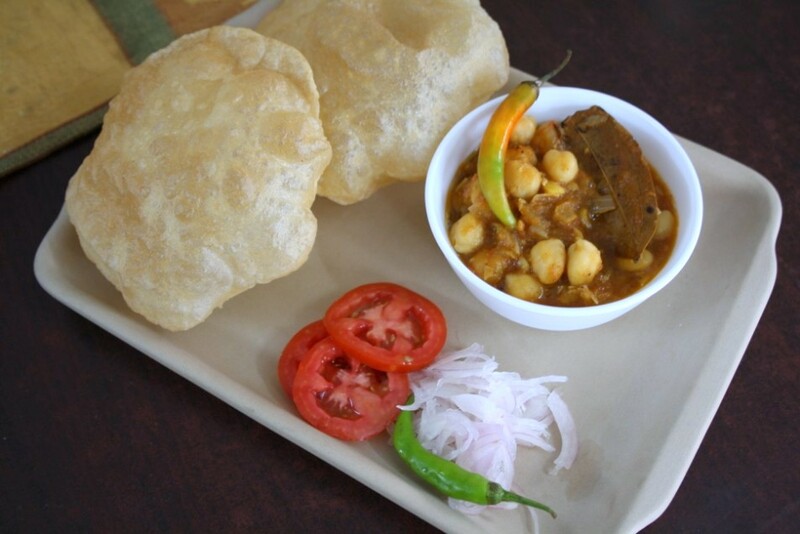 I love the Chana with Luchi or Bhature.. And your step by step pics are just amazing.. 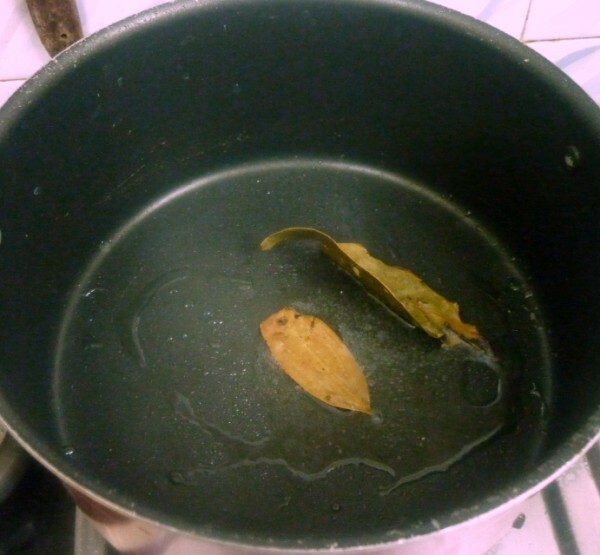 Thanks for step by step pics,delicious spread. 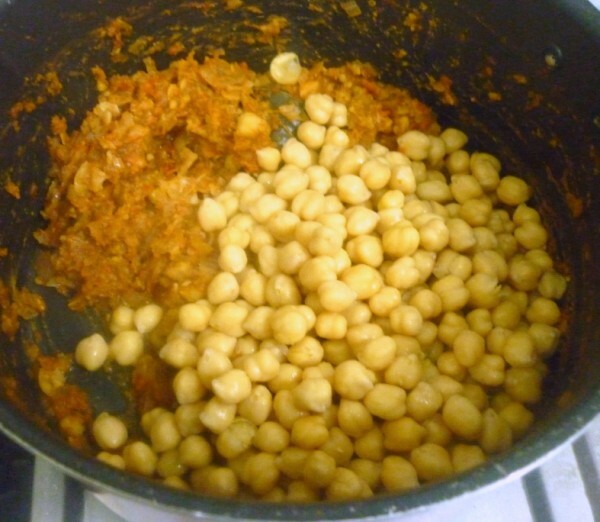 That's a wonderfully rich dish with chana. Have to try soon. 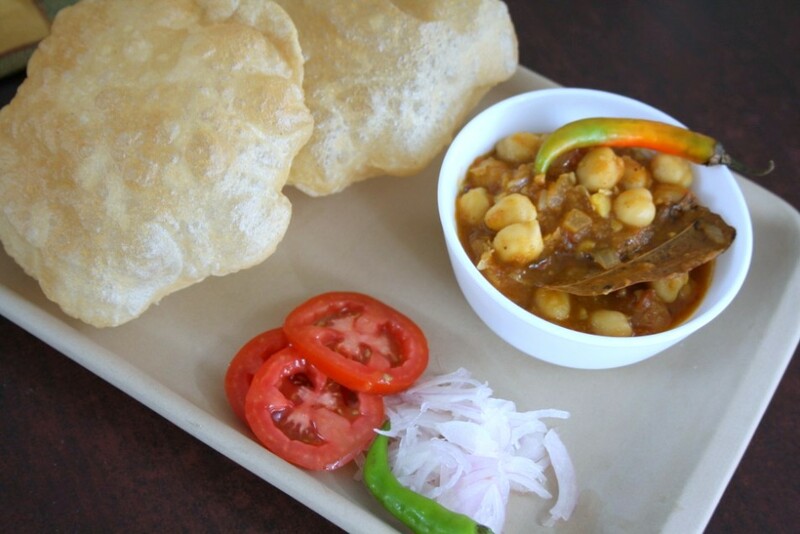 Cant take my eyes from those fluffy puris and yummy channa, thanks for sharing this interesting and delicious channa. 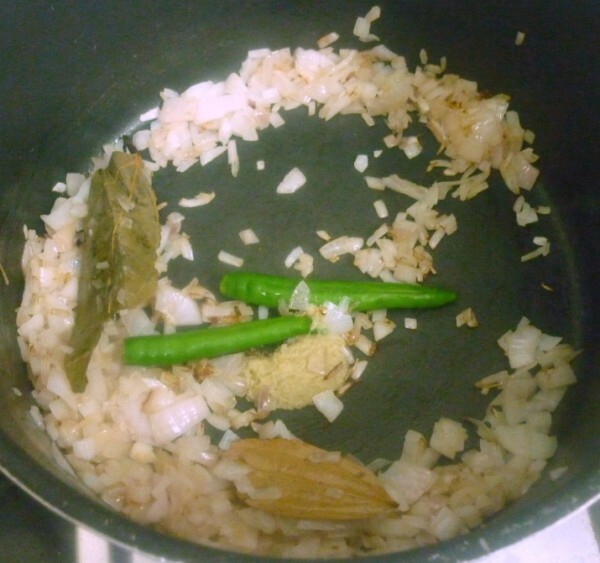 never used malai n channa…though I use crushed channa..looks different! 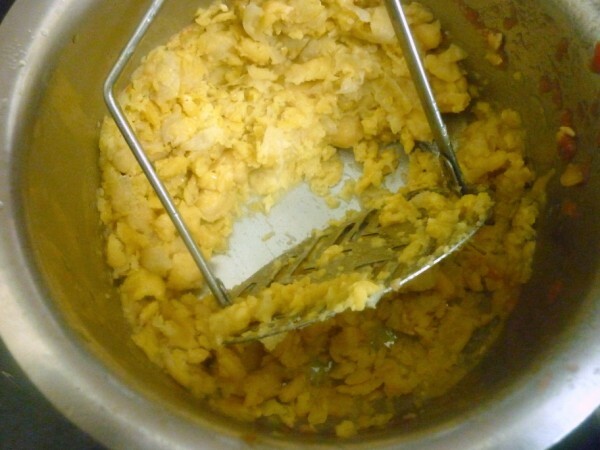 a new way o fmaking chana I must try!!! 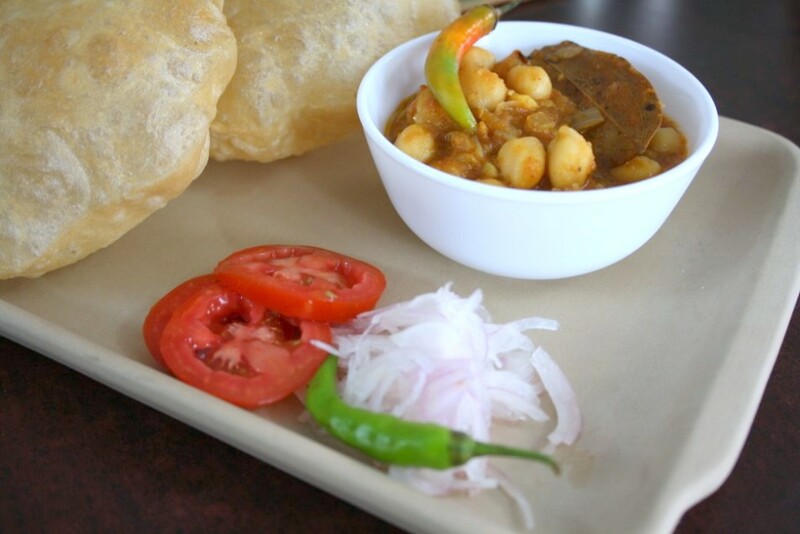 love chana in any form!